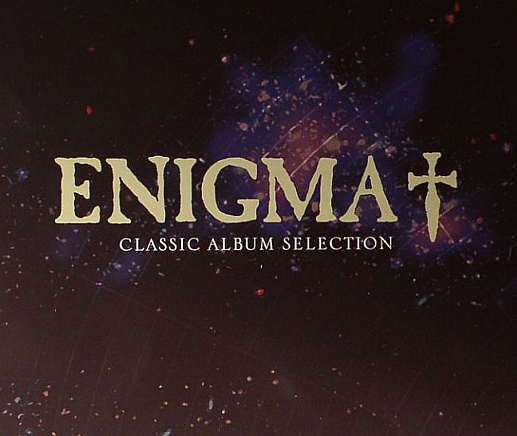 As part of an extensive series of reissues, Universal Music has re-released groundbreaking albums from famed German experimentalists Enigma as an attractive five-CD box set. Romanian born Michael Cretu conceived the idea for Enigma when he worked in German in the early 1990s – at a time when music was embracing dance in a new and not always exciting way. Best known for the early hit Sadeness (Part 1) – which now appears on Christmas compilations for some bizarre reason – Enigma were the early trailblazers for the chill-out style that would become hugely popular in different forms later in the decade. Here the first five albums are collected together in a neat box-set – although sadly there are no notes to go with the CDs, which would have made this more collectable. The first album MCMXC a.d. still sounds fresh, albeit with that unmistakable feel of the early 1990s.